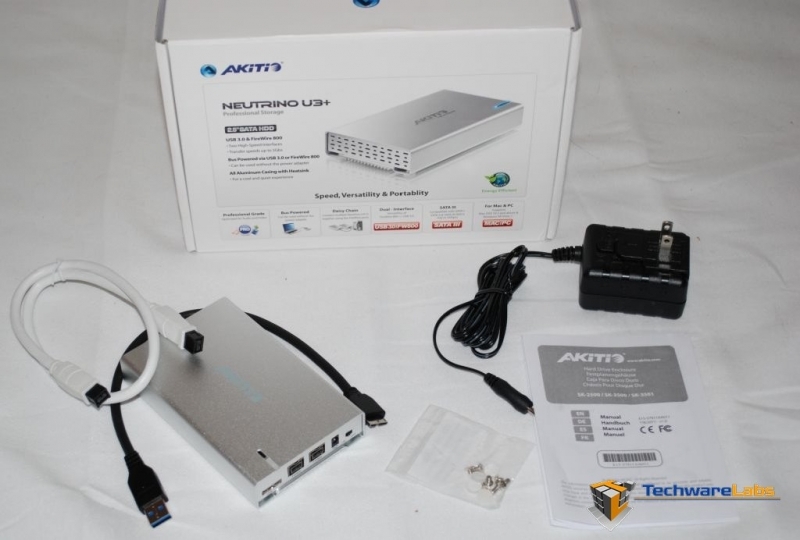 AKiTiO has sent us their Neutrino U3+ external storage enclosure to review. There seems to a countless enclosures on the market today for very reasonable prices, so what makes the Neutrino U3+ unique? Well, it is the type of enclosure you will have to get your hands on to really appreciate it. The Neutrino U3+ comes with USB 3.0+ ability along with dual firewire connections and has an all aluminum construction which acts like a heat sink to dissipate any heat generated by the hard drive you install. Lets take a closer look at what the AKiTiO Neutrino is made of and what it has to offer.